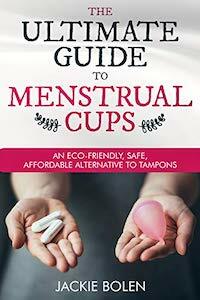 Do Menstrual Cups Smell Bad? A common question that women have is: Do menstrual cups smell bad after using them for a few cycles? It really is a great question to ask, because month after month, year after year, it does seem like a possibility. However, there’s good news! Usually menstrual cups don’t smell bad at all. This is especially true if you look after them well, during your period as well as between cycles. Menstrual flow begins to develop an odour when it comes into contact with air, as it partly does when you wear tampons and fully when you use pads. However, menstrual cups contain the fluid inside your body with no exposure to air so most people find that they have an odour-free period. Plus, all the odour associated with disposing of tampons and pads into the trash is gone as well since you’re flushing all the fluid down the toilet. You can also wash your hands thoroughly after emptying the menstrual cup. If you are concerned with even a lingering smell on your hands, you can carry a pair of disposable gloves to put on before removing and emptying your menstrual cup. Although it does create a bit of waste that goes to the landfill, it’s most certainly less than it would be if you were to use pads or tampons. Of course, between cycles you need to store your menstrual cup where it can be exposed to air. Even the tiniest bit of moisture in an airtight container can lead to stinking disaster! Most menstrual cups come with a loose cotton bag where you can keep your period cup and it’s recommended that you make use of it to store your cup. If you no longer have the bag that came with your cup, store it loosely wrapped in paper towel. Menstrual Cup Developing an Odor? Dry your cup in the sun. UV rays are a natural antibacterial agent. Clean your cup thoroughly. You can use an old toothbrush to scrub all the holes and stem. You should actually do this every month to keep your menstrual cup in top shape. Soak your cup in a 1/2 vinegar, 1/2 water solution for an hour. Soak your cup lemon juice for an hour. Or, use a fresh lemon to wipe the inside, and outside of your cup well. Be sure to wash well before using again—ouch! What about the Meluna Cup? Most women mentioned no specific problems related to smell with any of the most common menstrual cups including the Diva Cup, the Moon Cup, the Dutchess Cup and the Lunette Cup. However, the Meluna Cup is a bit unusual in that while many women are extremely happy with it (it does come in a huge range of sizes and colours), some report a bad smell that lingers, despite trying everything to remove it. Our theory is that is has something to do with the materials in it. 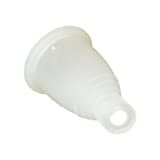 Most menstrual cups are made from medical grade silicone, except for the Keeper Cup that is made from latex. The exception is the Me Luna Cup, which is made from Thermoplastic Elastomer (TPE). It may just be a case of not working for your specific body type/pH level. Not everyone who uses the Meluna cup reports this, and there are many, many satisfied customers. It is, however, something to be aware of before buying it. Have your say: do menstrual cups smell? Leave a comment below and let us know what you think. If your does, what’s your #1 tip for combatting this? Help a sister out! There are now many choices for menstrual cup washes on Amazon. Our personal favourite is the Pixie Wash (from the makers of the Pixie Cup), which is a bit cheaper than something like the Diva Wash or Lunette Feelbetter Cleanser. It also smells very nice, and best of all, leaves your menstrual cup clean and fresh.